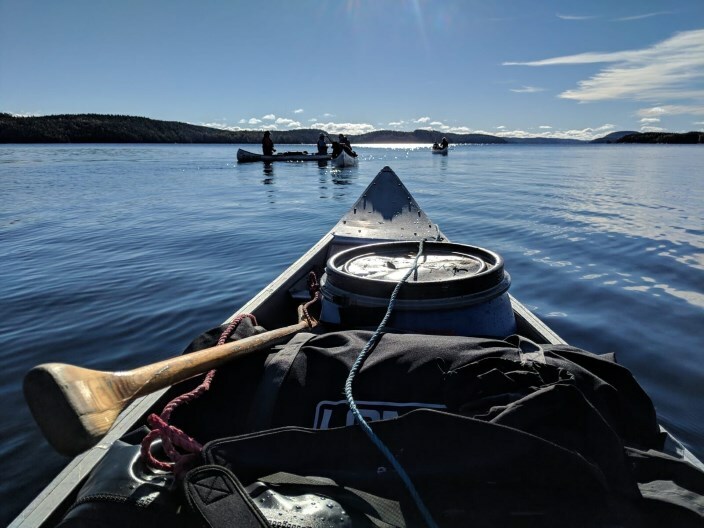 This is an amazing opportunity for young people who are undertaking their Gold Duke of Edinburgh’s Award with Joy of Adventure (JOA) to complete their qualifying expedition in Sweden. We are also inviting any interested adults to join us on this journey. 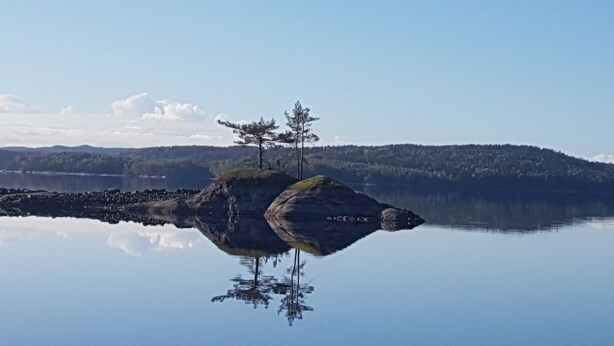 This is a beautiful lake 1 1/2 hours train journey from Gothenburg. It is over 70km long and is partly in both Norway and Sweden. The water is amazingly clear and the lake contains over 300 large and small islands surrounded by steep forested slopes covered with coniferous and some deciduous trees. There are over 500 campsites in the area each with a simple eco toilet wooden shelter and fire pit. The journey on the lake will start in the small village of Ed which has both a small train station and 2 supermarkets as well as a campsite. Students will arrange their own flights to Gothenburg. The cheapest flights which include 20kg of baggage are via Norwegian Air who fly out of Gatwick. Currently a return fare costs about £100. There is now a direct train from Cambridge to Gatwick which costs about £32 return. All these prices will of course change. Students will need to arrange to book on to these flights but we will meet them either in Cambridge or at Gatwick. You will need to book the LowFare+ option as this gives you 20kg of hold luggage which you will need for all your expedition equipment. Further advice on which actual flight to be booked will of course be given. Transport with in the county is included in the cost. We will travel by bus from Gothenburg airport to Gothenburg train station and then take the 1 1/2 hr train directly to Ed. The general the plan will be to paddle northwards away from Ed and towards Norway. We would then arrange transport at the end of the expedition back to Ed and Gothenburg. 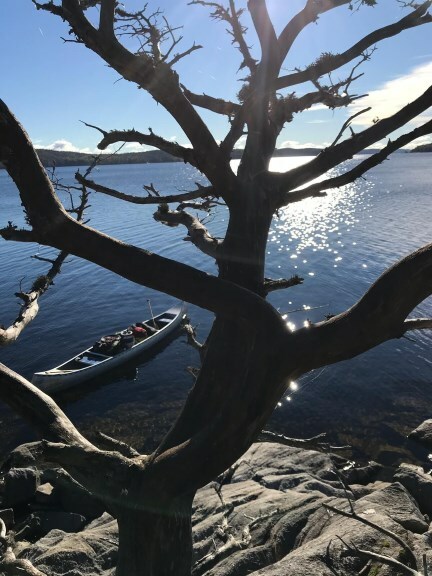 The plan will need to remain flexible as with any canoe journey as weather conditions especially wind direction will impact the final route plan. The campsite and lake are only a 10 minute walk from the train station in Ed. Canoes, barrels, paddles and buoyancy aids are included in the price as well as the park fees. You will need to bring all your other equipment with you including your personal clothing, tent or hammock, cooking stove and cooking equipment, sleeping bag etc. A full kit list will be sent to all those who book. Food is not included in the price as this is a DofE assessed expedition and students are responsibility for planning their own meals. Cooking in Stora Le can be over open fires or you can bring gas trangias. Gas for the trangias can be brought at the campsite and we will confirm the cost of this. There are two excellent supermarkets in Ed; so on the day of arrival, students will shop and then pack for their expedition. Last year (2018) due to the exceptionally hot weather across Europe there was a camping stoves ban for the first time ever. If this happens again in 2019, students will need to bring or buy food which does not need heating. We will inform groups as soon as we are aware of any restrictions and give advice on food which can be brought which automatically heats on opening. The group will be supported on their expedition by Joy Martin and Rod White, both of whom are experienced canoe instructors, teachers and first aiders. This is an un-accompanied assessed expedition therefore as a staff team we do not paddle or camp with the group, but support them in their journey. As an assessed expedition we will also have a DofE assessor with us who will formally assess the group for their expedition aspect of their Gold DofE. Each student will need to have their own insurance and will need to send JOA a copy of this in advance of the expedition. JOA carries appropriate public liability insurance cover. The total cost for the expedition is £600. For students who have already paid for their practice and assessed expeditions with JOA then the cost is an additional £350 as you have already contributed towards the cost of a UK assessed expedition. In order to book for this expedition you need to complete the attached booking form and arrange to make an initial payment of £175 to confirm your place . The second payment will be due on February 6th. Once booking is made then students are responsible for buying their own flights and sending JOA a copy of their tickets. Once students have completed their practice expedition all those going to Sweden will meet to plan their assessed expedition routes and complete their DofE route cards. There will also be a final expedition meeting before the end of term with parents to confirm travel arrangements etc. If you got your first UK 5-year children’s passport fairly soon after you was born and have renewed it a couple of times without much of a break in-between, your current passport is likely to expire during the coming 12 months. The UK Government has published passport rules in the event of the UK leaving the EU on 29th March without an agreement on freedom of movement. In this eventuality, all tourists will be required to have at least 6 months remaining on a UK passport until it expires, starting from the date of arrival in an EU country. For the avoidance of doubt, if your passport expires on/before 26th October 2019, it is possible that the Swedish immigration service may have cause to deny you entry to Sweden. Therefore we recommend that you check your passports now and renew it if you don’t want to take that risk! *Each student will need to have their own insurance .